The other day I heard a lady say, "I want to repay everyone for what they've done for me." That's nice. But sometimes we can do more good in the world if we pay forward instead of pay back. Honestly, sometimes the people who help us the most aren't in dire need of repayment. 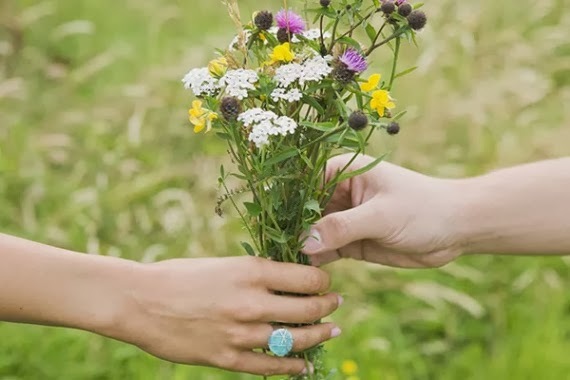 It's a nice gesture to pay them back, but you might do more when you give forward. If my nephew wanted a toy but he was short three dollars, and so I gave him three dollars--it makes a big difference to my nephew, but to me, three dollars isn't much. My nephew would do more good in the world by paying forward instead of paying me back. So, instead of giving me three dollars, he can give three bucks to the next kid who's short on money. Instead of always repaying, we should strive to do for others what they cannot do for themselves, just as someone did the same for us. A few months ago, my mom told me about an elderly man she met who was working at Walmart. In their conversation he explained that he was working to pay for his grandchildren's college education. "Wow, that's really nice of you," my mom said. He replied, "Someone did it for me." So next time someone does something for you, make a mental note to pass the gesture forward to someone who really needs it. At the beginning of your story, and even throughout, you're making promises to the reader on a subconscious level. You're setting up the reader's expectations of what kind of story this will be and what's going to happen. Chekhov gave this example: if you have a scene with a gun in it, you're setting up the expectation that it's going to go off by the end of the story. When it does in the last scene, you've delivered on your promise. When we don't keep our promises, the readers are disappointed. When we meet expectations, they're satisfied. But there's a third option. You exceed the expectations you've set up. And nothing is more fulfilling than that. 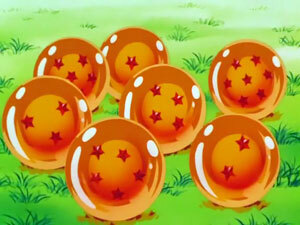 Dragon Ball Z not only delivers on its promises, it exceeds them. Let's see this in action. In the Android Saga, we meet Trunks, a 17-year-old from the future who has come back in time to warn Goku, the protagonist, that soon two androids will appear and kill all of the heroes and wreck havoc on the whole planet. Promise to the audience: two androids are coming to take over the world. In Trunks's time, most of humanity has already been wiped out. and all of the survivors have to live underground to survive. I've never read a steampunk novel, and since I'm trying to read outside my usual genres, I knew it was time. What is a steampunk? Steampunks (usually) take place in the past, like WWI era, when the west was wild, Victorian, or the medieval times, but has big crazy machines and technology in it. As this definition puts it "What the past would look like if the future had come sooner." It's like sci-fi mixed with historical fiction. For the last five years, I've heard how steampunk is going to be "the next big genre." But I don't think it's made it yet. 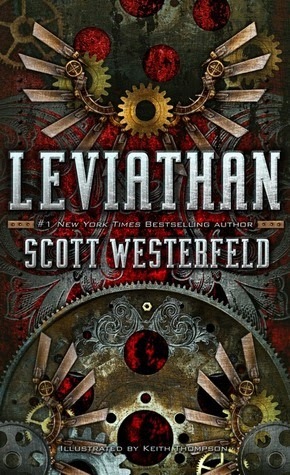 When I asked for steampunk reading suggestions, no one could give me any they read personally, though Scott Westerfeld's Leviathan was mentioned several times because people knew his Uglies series. So I chose to read it because it's the only novel title I heard. Plus, Scott has to be a decent writer with the popularity of Uglies, right? (That series is still on my to-read list). 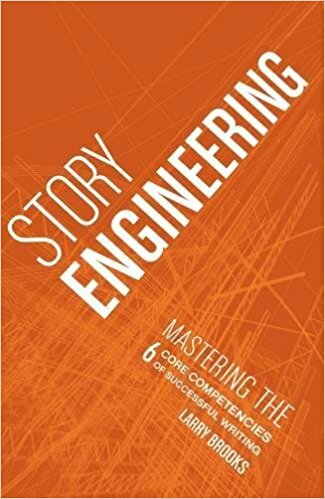 Last post I started dissecting Dragon Ball Z and noting some plotting techniques you can use to ramp up your own story. I'm picking up today with another technique the show uses extremely well that, like the other two I mentioned, I hardly ever see used in elsewhere. Also like the other two techniques, it can really kick the tension in your story up several notches. Then I'm going to show how Dragon Ball Z flips one of the most common plotting tools used in Hollywood--The Reversal--on its head for fantastic effect. Imagine you've been following Harry Potter and Voldemort's conflicts all the way from the first book to the seventh book. Harry and Voldemort are finally battling it out face-to-face. It's a legit battle, think of the movie version. Then suddenly, someone stronger, even more evil appears and defeats Voldemort, and we find out the seventh book isn't the last book. At first, readers would be shocked. We've been working up to this. Voldemort was supposed to be it. But this new guy, we've never even heard of, took care of him as easily as swatting a fly. And now, our heroes have a whole new, even more powerful antagonist to deal with, who has even eviller plans than Voldemort had. But I could see how it could flop depending on delivery and how you handle the aftermath. 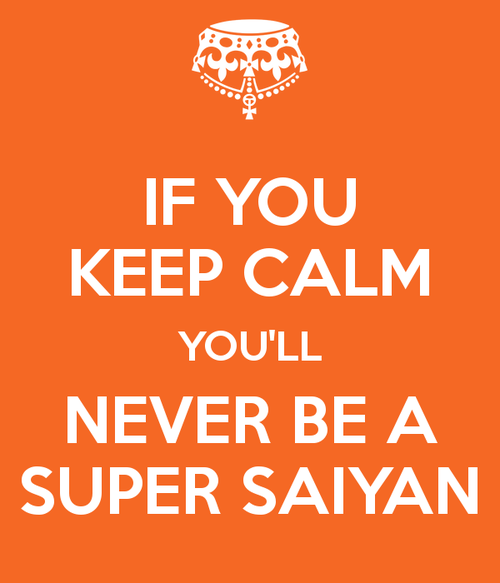 Dragon Ball Z never flops it. Often, we think we've meet the most powerful villain ever, only to find out there is another one far more powerful than him--an even bigger fish that can eat the villain up. And it's more shocking when he actually does eat him. Happy Valentines Day! In case you still don't have a Valentines yet, here are 7 Magical pick-up lines from Harry Potter, just for fun. Cho Chang? More like Cha-Ching! Cause I just hit the jackpot. 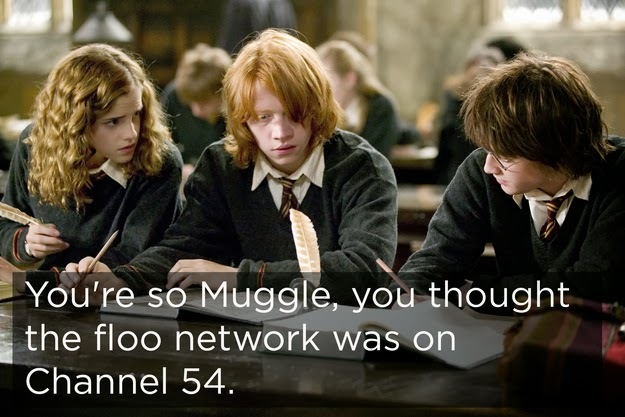 I'm just like Oliver Wood, baby. I'm a keeper. Are you a golden snitch? Because I've been seeking for something like you my whole life. 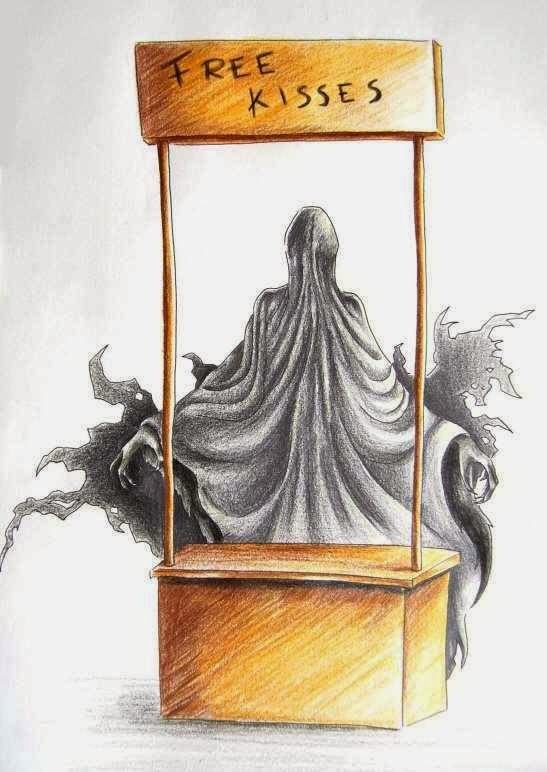 If I were going to produce a patronus, you'd be my happy thought. And in case they don't work, here are some funny pictures to cheer you up. 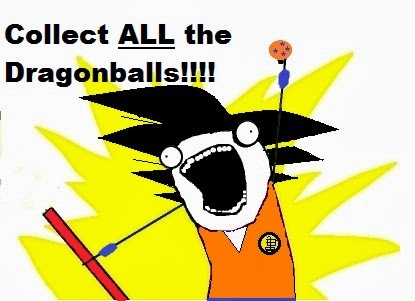 Dragon Ball Z takes advantage of villains to a degree I haven't seen before. In most stories, we see a "good guy," his friends, and a "bad guy" and his minions, and they're against one another. Dragon Ball Z, on the other hand, frequently makes heroes team up with villains. So here is plotting technique #1--Hero and Villain Team-ups. From the very starting of the series, Goku, the protagonist, has to team up with his enemy Piccolo, to fight someone who is far stronger than either of them. 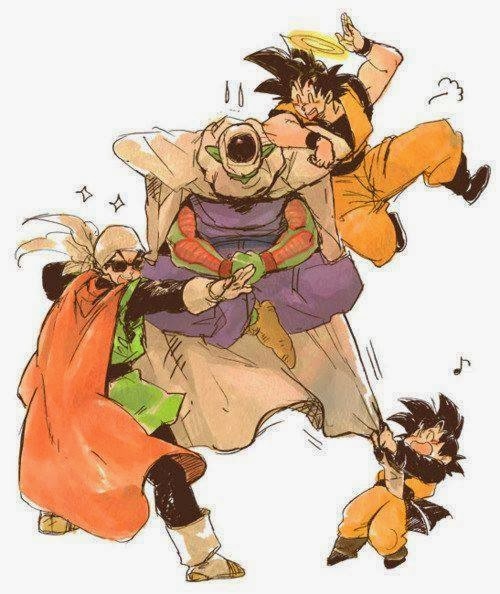 Goku and Piccolo have been enemies for years, and Piccolo has been hatching plans to actually kill Goku. Imagine how interesting the character dynamics are when they have to team up to fight a new bad guy--who, by the way, they learn is Goku's long lost brother, Raditz. One or two episodes into this show and it's already interesting. During the fight, they discover the only way to defeat Raditz is if Goku holds onto him while Piccolo does his death shot--killing both of them. And of course, since Piccolo wanted Goku dead all along, he goes right along with it, and Goku dies like in the second or third episode (what an opening, huh?). Over and over again throughout the series, villains, each with their own agendas, have to team up with each other and with the good guys to defeat someone stronger than them. What's it like working with someone who literally wants to kill you? A lot more intense and interesting than working together with your best friends! As viewers, we're never quite sure what the teamed-up villains will do. Save each other? Save themselves? Do they care if innocent people get in the way? Will they care if the good guys get killed in the process? Since joining tumblr, I've had several questions from aspiring authors sent in to me. If you ever want to ask me a question, send me a tweet, Facebook message, or email. While I might not get it answered soon, I'll put it on the list. So, here is the first question answered here on my blog. just-alittlebit-insane asked, "Hey do you have any tips for a young aspiring author???" 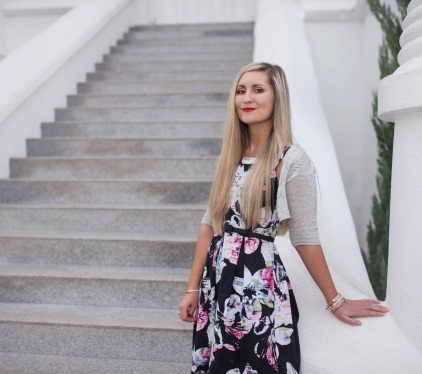 There are so many tips and information to learn, it's hard to fit them all into a post. So, I'll put down the basics--some of the very most important tips. It's not uncommon for aspiring authors to lack support from their loved ones. Unless you are already posting fiction online, you probably don't have any fans yet. You're favorite author isn't standing over your shoulder giving you pointers and cheering you on. 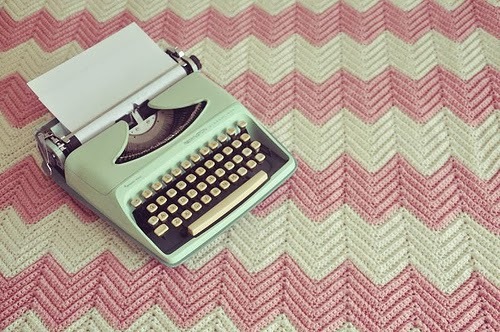 For some writers, the only person they have on their sides are themselves. (That's not anyone reading this, because I'll be on your side.) But my point is, whether no one is encouraging you, or your whole family is, ultimately, YOU have to be a self-motivator and a self-starter. YOU have to be your boss and be self-disciplined. You have to put in the writing. You have to do the learning. And you have to want it. First, Let's Tackle Animation Stigmas! Recently I rewatched Dragon Ball Z and learned a ton of killer plotting techniques to take a story over 9000! And I'm excited to share a lot of them here in a series of posts. First, let's overcome the stigma that might crop up with this subject. Stigma: "Dragon Ball Z is a dumb kid's cartoon. I can't believe you watched that and are blogging about it." Let's not forget that many of the most popular current films all started out as comic books and cartoons: Batman, Spider-Man, Iron Man, the Avengers. The Avengers is one of the top grossing movies of all time. The fact that a story is animated, doesn't effect the quality of the story itself.